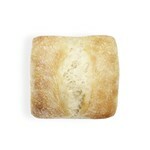 Brioche Cheddar Pullapart Roll 198/cs. Lunch Dinner Roll Dore 1.7oz (48g) 108/cs. 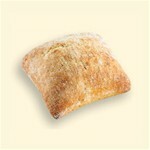 Lunch Dinner Roll Olive 1.75oz (50g) 60/cs. 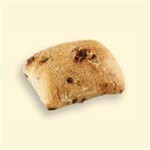 Lunch/Dinner Roll Nut&Raisin 1.7oz (48g) 108/cs. Lunch/Dinner Roll Wholewheat 1.9oz (54g) 108/cs. Ancient Grain diamond shaped roll. 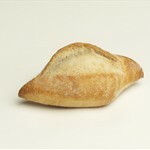 Great shape, great for table bread, or use as a mini sandwich. Beautiful pointy ends. 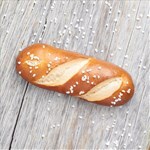 Our new 2.7oz traditional soft pretzel. The perfect item for a bread basket. Our newest addition to our roll program. 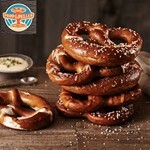 This contains a pretzel mini round roll (with a score on top! 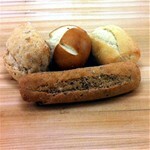 ), Campo Plain Ciabatta Roll, Campo Multigrain Ciabatta Roll and Nine Grain Stick. This comes in a proprietary ovenable bag already assorted. NO MORE COUNTING OR FAILING TO TIE BAGS!!! 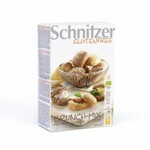 New Gluten-Free and Organic Assorted already mixed rolls. These are great for bread baskets. This is available in a 10oz as well. 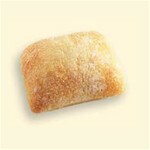 White Dinner Roll, 1.7 oz. Fully baked, Freezer to oven 3 minutes at 400F. You will enjoy it's delicate crustiness and it's wonderful aroma. We have incorporated a new shape. Slightly rectangular, filled with black olives, this dinner roll is so tasty that you won't even need to pair it with butter. Fully baked, freezer to oven 3 min at 400F. 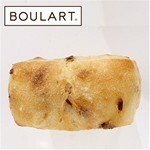 Full of raisin and nuts, this dinner roll is perfect in your bread basket or with your imported cheese platter. Freezer to oven 3 min. 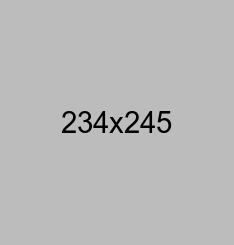 400F. Fully baked, freezer to oven 3 min. at 400F. 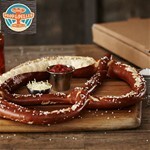 By the time it hits the table, You will enjoy it's delicate crust and subtle wheat flavor. This is the size of a steering wheel! This can easily feed 4. Brand new to our line. 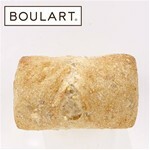 This beautifully hand finished Mini Baguette is great for basket bread or for a mini sandwich. It is baked on stone. 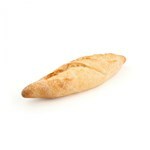 At a fraction of our traditional banquet roll, this is smaller portioned-so less waste and better for your bottom line! 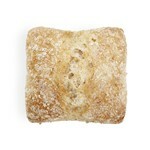 Try our new Mini Ciabatta Bites in Red Pepper and Onion. 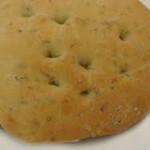 4x4 Rosemary Focaccia is now available. Great for a sandwich or slice up for table bread. 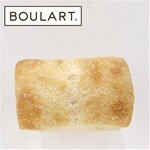 Try our new Mini Ciabatta Bites. 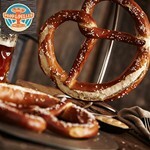 At a fraction of the cost of our banquet rolls, these new items are trendy and less expensive. Tired of seeing all that bread waste? 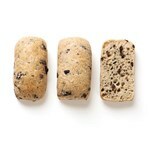 Try these new Mini Ciabatta Bites! 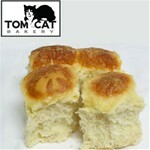 White Dinner Roll, 1.7 oz. Fully baked, Freezer to oven 3 minutes at 400F. You will enjoy it's delicate crustiness and it's wonderful aroma. Whole Wheat Dinner Roll, 1.9 oz. Fully baked, freezer to oven 3 min. at 400F. 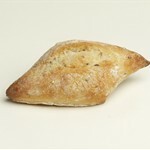 By the time it hits the table, You will enjoy it's delicate crust and subtle wheat flavor.